About Association "Together for Radomka"
Association "Together for Radomka" is an organisation which was established in 2008. 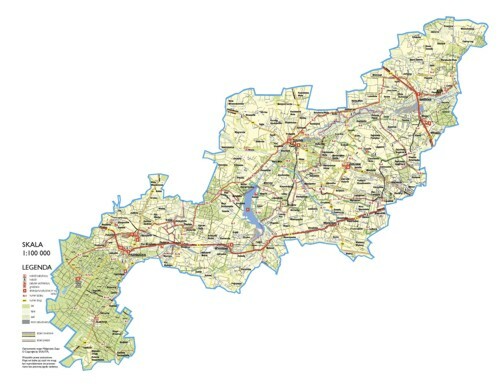 It associates six communes of the Mazovian province: Jedlińsk, Przysucha, Przytyk, Wieniawa, Wolanów, Zakrzew within the European LEADER program - for rural development. Our goal is to create partnerships between businesses, governments and representatives of science. The Association actively supports initiatives related to rural development through effective use of financial resources. 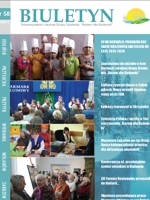 We carry out projects that aim to acquire new skills for the labor market, training in creating and running a business, obtaining EU funds, computer workshops targeted to the unemployed and those who want to acquire new skills. Association cooperates with governmental, cultural institutions, universities from Germany, Slovakia and Ukraine, as well as the Local Action Groups from other provinces. We support animating and events related to the cultural and historical heritage LAG rural areas, the organization of cultural events, promotion of the tourist attractions of the area. For three years, participating as an exhibitor in the Rural Tourism Fair in Kielce AGROTRAVEL, and also in the Presidential Harvest Festival, provincial, district and commune and many other initiatives to promote setting up of rural areas throughout the country. Our intention is to build a strong brand of local products, not only in the Mazowieckie province, but also in the national perspective. Thanks to the efforts of the LAG Together for Radomka "-" Papryka Przytycka "and" Salceson wizytowy"received a positive opinion and have been inscribed on the List of Traditional Products conducted by the Ministry of Agriculture and Rural Development.